It was simply amazing working together with Maj and Rosario. They are a good time and really supportive. Exactly what I needed as a quite busy entrepreneur. We got to know each other and I shared what I was looking for in a redesign of my flat. Together e.g. with a shared Pinterest-board we nailed the design down further and made the whole project a success. Thanks a again. I still love this flat so much! 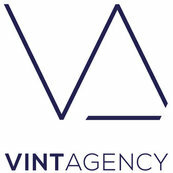 Ich bedanke mich ganz herzlich für die professionelle und kreative Zusammenarbeit mit dem Team von VINTAGENCY.